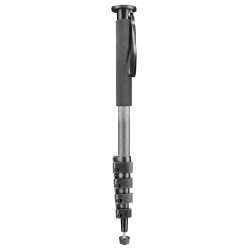 The walimex pro WAL-1983 Carbon Pro Monopod is a high-quality Monopod for professional photographers. 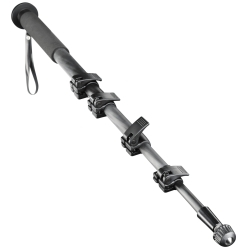 With this 5 segments including tripod you are flexibly equipped for your outdoor sessions. The 1/4 inch camera connection is suitable for SLR as well as for compact cameras. 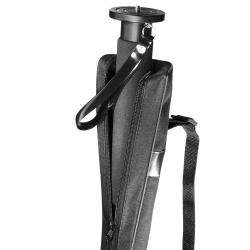 The carrying strap, which is attached on the handle, provides additional hold and security outdoors.